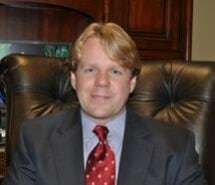 William L. (Bill) Ketchersid is a partner in the Destin, Florida law firm of Ward & Ketchersid, P.A. The law firm services Northwest and Northeast Florida from Jacksonville to Pensacola. In addition to his law degree from St. Thomas University School of Law in Miami, Bill has an LL.M. in Taxation from the University of Miami School of Law. Bill focuses his practice on all aspects of real estate, including litigation, and also commercial, business, and complex litigation, including commercial collections. Bill also represents select clients in dissolution of marriage and other domestic relations matters. Bill is admitted to the District Court for the Northern District of Florida, United States Bankruptcy Court for the Northern District of Florida, and the United States Tax Court. Recipient, Achievement Awards: Best Student in Corporations; Best Student in Federal Estate and Gift Tax, 1999.